Over the past two decades, American cities have experienced an astonishing drop in violent crime, dramatically changing urban life. Patrick Sharkey reveals the striking consequences: improved school test scores, since children are better able to learn when not traumatized by nearby violence; better chances that poor children will rise into the middle class; and a striking increase in the life expectancy of African American men. Many places once characterized by decay and abandonment are now thriving, yet pervasive inequality threatens these gains. 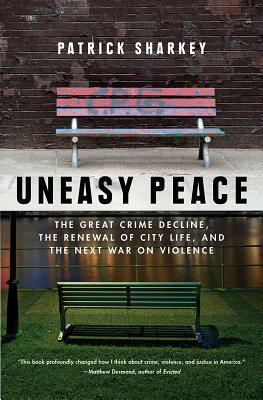 At a time when crime is rising again and powerful political forces seek to disinvest in cities, the insights in this book are indispensable.